**All players must be insured with CARHA. Insurance is an additional $23. Fee includes a banquet ticket. Extra tickets are $25 each. Registration closes Friday November 9. Teams to be drafted on the weekend! 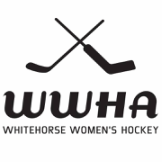 Games are played Friday evening (starting at 5:30 pm) and all day Saturday at the Takhini Arena, followed by a banquet Saturday evening in the Takhini Arena mezzanine starting at 6:30pm. Questions? Email wwwhayukon@gmail.com with the subject title, "November 2018 Jamboree".